LTI, Inc. and its Milky Way division received a third consecutive SmartWay Excellence Award from the U.S. Environmental Protection Agency (EPA). The EPA awards recognize the top one percent of SmartWay partners for superior environmental performance and leadership. LTI, Inc. earned a top score in the Tanker Fleet Category based on its exceptional fuel economy, payload, idle time and modern emissions equipment. "We are extremely proud to receive a third Excellence Award from the EPA. Our entire team deserves credit for maintaining our high standards of productivity, efficiency and environmental stewardship," says LTI, Inc. President Jason Jansen. "We will continue our efforts to improve fuel economy and reduce emissions while serving our customers." LTI, Inc. was one of 39 truck carriers to receive this distinction, representing the best environmental performers of SmartWay's nearly 3,000 Partners. The carrier awardees were honored at American Trucking Associations Annual Management Conference & Exhibition in Philadelphia, Pennsylvania today. "EPA is pleased to honor these SmartWay Partners with a 2015 Excellence Award," said Chris Grundler, Director, EPA Office of Transportation and Air Quality. "SmartWay carriers work diligently to bring our families the goods we need each day, while contributing to a healthier, more sustainable future for our children." 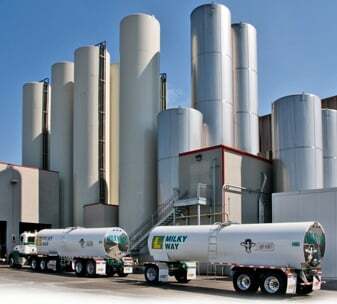 LTI, Inc. specializes in the transport of liquid and dry bulk commodities, and its Milky Way division is a leading bulk milk hauler in the Pacific Northwest. The company uses the most efficient engines available, lightweight equipment with enhanced aerodynamics, automatic tire inflation systems and onboard computers to manage highway speed, progressive shifting, best routing options and idle times. Drivers are trained on these systems to better understand the impacts and effects while driving. EPA's SmartWay Transport Partnership empowers businesses to move goods in the cleanest, most energy-efficient way possible, while protecting public health and reducing environmental impacts. Since 2004, SmartWay Partners have saved 144.3 million barrels of oil and $20.6 billion in fuel costs. SmartWay's clean air achievements (61.7 million metric tons of carbon dioxide, 1,070,000 tons of nitrogen oxides, and 43,000 tons of particulate matter emissions avoided) help to protect the well-being of citizens. LTI, Inc./Milky Way became a SmartWay Transportation Partner in 2010. 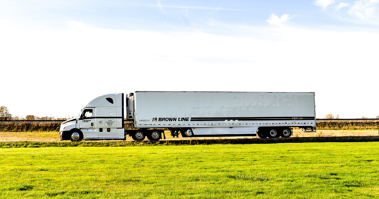 Sister company Lynden Transport became the first Alaska trucking company to join SmartWay in 2008, and Lynden companies Brown Line, LLC and Alaska West Express are also members. Alaska West Express has joined the SmartWay Transport Partnership. SmartWay is a collaboration between the U.S. Environmental Protection Agency and transportation companies to voluntarily improve fuel efficiency and reduce air pollution from freight transport. Partners with high scores are already utilizing most of the commercially available fuel saving strategies and evaluating the latest emerging technologies. 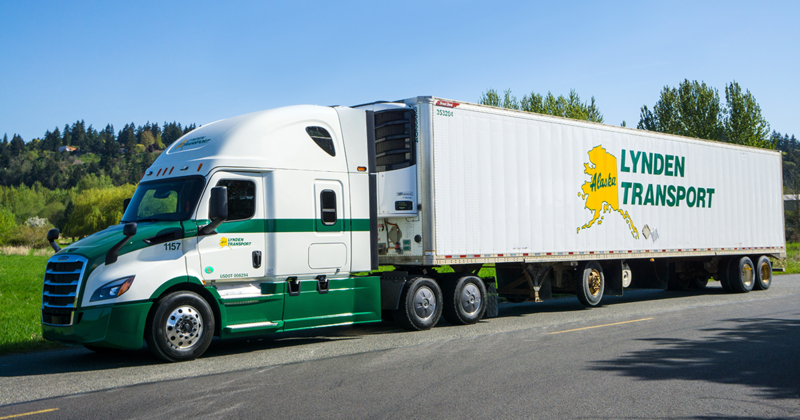 Sister company Lynden Transport became the first Alaska trucking company to join SmartWay in 2008. Lynden companies LTI, Inc., Milky Way and Brown Line joined in 2010. "Alaska West Express has been focused on efficient operations for many years as part of Lynden's overall Green Initiative. We are extremely proud to be recognized by the EPA as a SmartWay Transport Partner," says Alaska West Express President Scott Hicks. "Although we operate in very tough and harsh conditions we remain committed and focused on energy efficiency and air quality. We also understand and appreciate that our customers share this same commitment. Alaska West Express will continue to strive for clean operations on the road and at all of our locations." The company is now included on the SmartWay Partner List where it joins other transportation providers who are moving the freight industry forward to a more sustainable future. 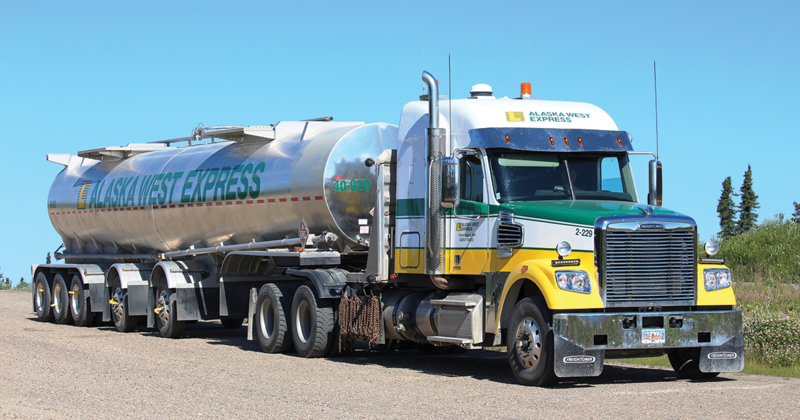 Alaska West Express provides truckload transportation throughout the United States and Canada, specializing in heavy haul and bulk shipments to and from Alaska, where it is a leader in transporting liquid- and dry-bulk products, hazardous and non-hazardous chemicals and petroleum products. It is part of the Lynden family of companies, whose combined capabilities include: truckload and less-than-truckload freight to Alaska, scheduled and charter barges, rail barges, intermodal bulk chemical hauls, scheduled and chartered air freighters, domestic and international shipping via air and ocean forwarding, customs brokerage, trade show shipping, remote site construction, sanitary bulk commodities hauling, and multi-modal logistics. Lynden companies are repeat winners in the annual Quest for Quality customer service awards presented by Logistics Management magazine.